Through this tutorial you will learn how to develop and code a simple calculator in Android. Topics covered will include using a webview, layouts, and button listeners. One of the cool things about having a smart phone is knowing that you will always have a calculator handy. If you need to total receipts, perform some supermarket comparisons, or calculate tips or percentages on the fly a calculator is definitely a handy tool. 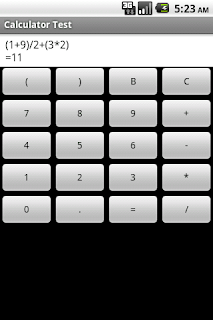 However, the basic calculator app that comes preloaded with the Android Operating system leaves a lot to be desired. Perhaps you want to build your own more advanced calculator. You can use this tutorial as a starting point. This layout could admittedly be improved upon. The focus of this tutorial is about bringing together all of the pieces rather than creating a beautiful looking program, so we really just want something functional. Listed below is the xml code for the layout. The layout is pretty straightforward, a bunch of rows with buttons in them. This layout uses a combination of linear layouts, whereas a table layout could also be suited. So know we have a bunch of buttons that we can use to have the user add input, but how do we actually crunch the numbers? Remember the "Golden Rule" of programming. Reuse code and don't try to reinvent the wheel! The calculator works by storing the user inputs in a String Builder and passing this information to the web view for evaluation. StringBuilders are used instead of strings because they are more efficient when you are constantly changing values. We will use one button listener for all of the buttons. For most of the buttons, what we want to append to the string is exactly what the button is displaying. This makes the listener code fairly simple. I tried to split up the building of the string into smaller chunks in order to improve readability. As you can see, it can get pretty difficult to read fairly quickly. Listed below is a screenshot from the app. There are a number of areas in which this app could be improved, and if there is interest, I may do a follow up tutorial. Thanks for checking out my tutorial. 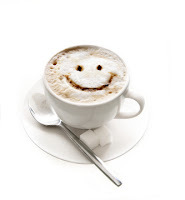 Please leave feedback and follow the blog! Listed below is the full code for the activity. I can not see the numbers on the WebView. I need to install some plugin? i want to create an html app which should work as an app but offline. It shouldnot connect to internet. Please help me..
My mail id is shyjumon.thomas@gmail.com. Do you get any compiler errors? Or any other messages? thnxx man..dat did d work fa me..
mMathString like its name describes is just a string. Great, awesome logic used simplifies the program greatly !Keep it up, loved the logic u used because normally doing it using a single view will take tons of code ! You are welcome, glad it helped. Do you have your android sdk properly set up? R is a generated class, if eclipse is set up properly with the sdk it should work. go to eclipse and select Project nd select Build All option. Thank you! We're open to suggestions for future tutorials. there is any simple code!!! i am getting an error saying to remove onclick() bec of multiple marks..
hey man if i click C button it shows "=undefined"
operation working perfect but thi =undefinied is what ? i have no error in program but when i run there is show an eror msg tha "the application calculator has stop unexpectedly.please try again"..is there something missing..?????? may be in string.xml or androidmanifest.xml..?? I too am able to compile with no errors, buttons work great, but no numbers or values of the buttons show. Can someone please help me out? Jake.Koll21@gmail.com. Thank you. The webView doesn't display any text. I don't know why , tried coloring text & all that color stuff. But, nope it doesn't work. While, I loved the code. I am eager to add it to my calc. Also, can you tell me adding wolfram API for integration. I implemented this code in my app and Ive also read that numbers aren't showing up for some people. I have both both a physical DroidX, code works perfectly, and a Asus TF101 Tablet, which shows the calculator but does not show number input. I am trying to narrow down what the issue is but maybe this info will help someone do it faster than me. I am guessing incompatibility with versions? can any one explain why not webview displaying any numbers please?? i know that UTF-8 is correct encoding, but for me second-one works..
right.you change text/html to text/xml. I also cannot see the text in web view, just wanted to know if there is any plugin or some other stuff I need to download. My email is sheilsarda@yahoo.com. By the way, very nice step by step tutorials. i have fix tool of boss.dont show any text when you are click. so i have code actuarly is running very good. Did you solve "C" button problem? When I press "C" it show's undefined message! What should be add to correct this one? 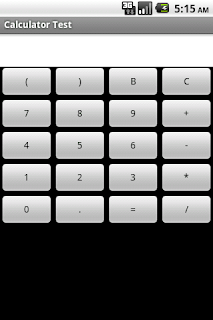 How do you make the calculator to occupy the whole screen? When I click the buttons a toast is displayed as "Downloading not supported" What should I do? unable to see the text displayed on the webtext. the code is working error free. i am new in android and have a question: how this program do the math part? I have some problem with the calculator. The AVD keep showing the "app has stopped". Then it automatically closes it. May I know how to resolve this issue? What could the likely problem be? I have same problem of "Unfortunately app has stopped" when I press any button of calculator. how can we make same calculator without using eval function???? This tutorial was very helpful to build my basics. I was able to build my own app for Play store. Thank you Sir. Can you provide me the name of the file and the location.